RIT offers single film, multilayer and crystal optics for synchrotron beamlines and end-stations. Coatings can be made on customer furnished substrates or on new substrates we provide as part of the product. RIT now also cleans and recoats old optics to either retask the optic for a new application or to refurbish or repair the coatings to get enhanced performance. More details can be found below. Synchrotron beamline end stations and analytical instruments most often operate with high intensity X-rays. 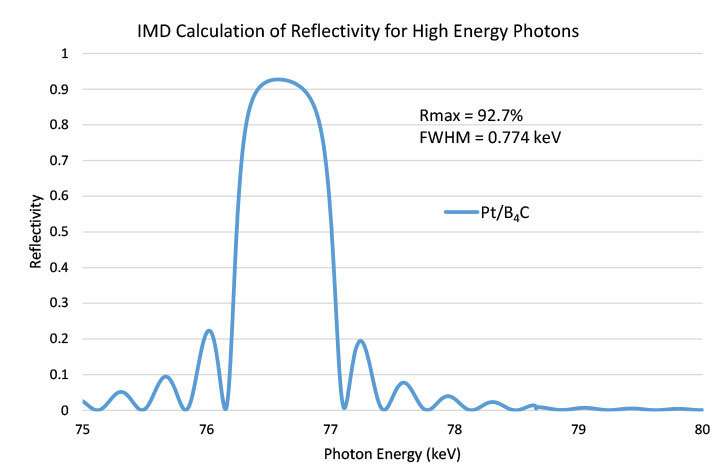 Such high intensity beams can result in damaging single film and multilayer coatings. Because synchrotron and similar custom made optics typically require extremely precise coatings on premium quality substrates, these substrates and coatings can be very expensive and require long lead times. Rigaku Innovative Technologies, (RIT) has developed a proprietary methodology for the complete refurbishment, recovery and restoration of synchrotron and custom multilayer systems. RIT has made significant technological advances in the development and application of refurbishment for high-performance multilayer optics for synchrotron and extreme-ultraviolet lithography (EUVL) applications. RIT’s refurbishment technology and methods are designed to reduce costs and lead-time for the setup of experimental/analytical equipment and beamline end stations, or damaged multilayers with the same quality and performance of new multilayer optics. 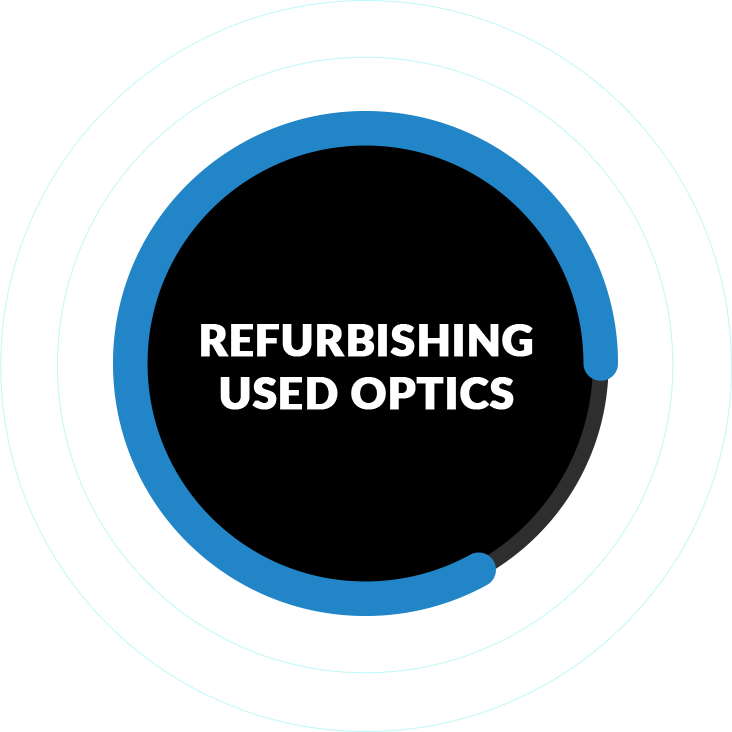 Do Your Optics Qualify for Refurbishment or Recovery? A Glancing X-ray Reflectometer (GXR) measurement of X-ray reflectivity to examine the condition of any coating and the substrate. RIT has successfully repeated various refurbishment projects toward the recovery of high-quality custom optics that include the full removal of multilayer or single-film coating and substrate preservation for custom and commercial optics for synchrotron and EUVL customers for which optical degradation remains an important factor. 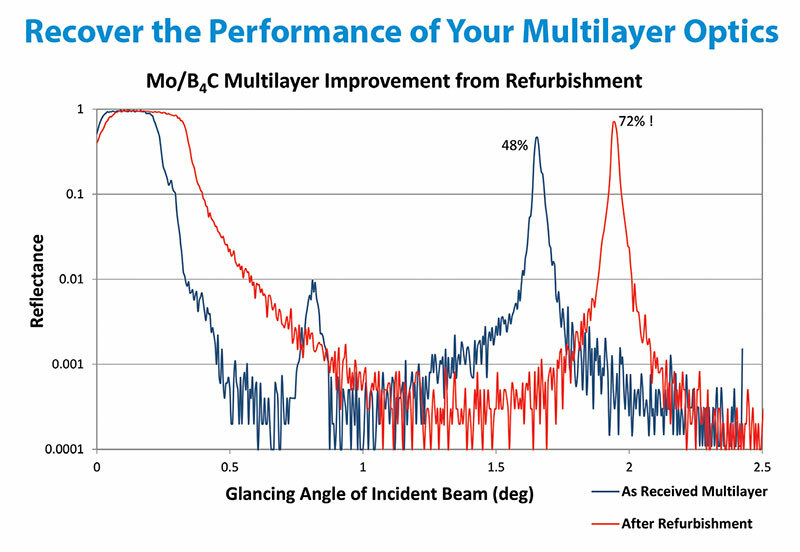 Figure 1: is a 200-period Mo/B4C multilayer, that improved from ~48% for a 2.7nm period, to ~72% for a 2.3nm period, improving both reflectivity and angular resolution. Multilayer or optical refurbishment can become a fundamental part of extending the end of life and financial investment contributed to synchrotron and custom multilayer optics. RIT produces high reflectivity and high precision coatings on mirrors up to 1.3m long. Coatings can be single film, bi-material or tri-material multilayers. Protective top coats and adhesion layers are used when appropriate. Coatings can be made in narrow stripes to allow multiple material systems or multiple d-spacing films coated on the same optic. Such striped optics create an opportunity to cover a broad energy range with a single beamline setup or have selectable bandpass in the same beamline setup. 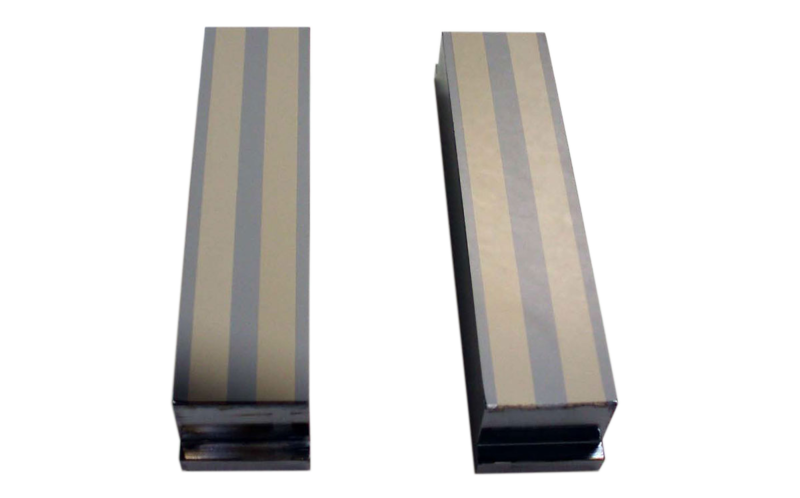 Double Multilayer Monochromators on optics up to 1.5m long. Substrates can be natural crystals such as Si<111> , which would then be one stripe of the monochromator. Coatings can be uniform throughout or graded in depth or along the length or width or any combination of gradients. Possible substrate materials: fused silica, quartz, Si, Ge, SiC, most low thermal expansion glasses such as Zerodur, . . . . . Note that low thermal expansion may not be the best choice to avoid future trouble. Contact RIT for more details. Substrates may be flat, cylindrical, spherical, aspherical, toroidal, elliptical or parabolic cylinders or any other practical shape. 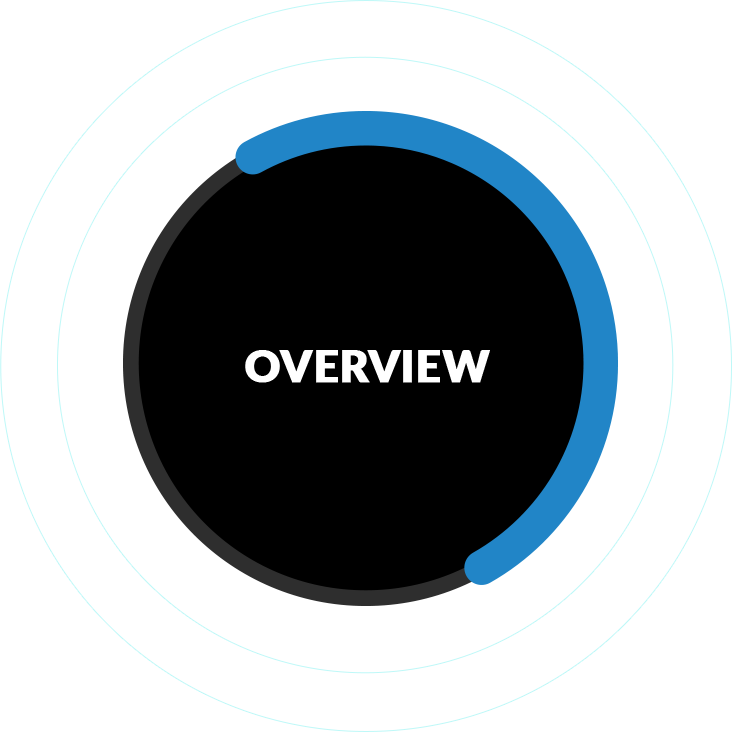 Multilayers can be designed to provide bandpass ranging from 0.25% up to 10% or even more. Multilayers can be coated onto single-crystal substrates to take advantage of the very narrow bandpass, i.e., 0.1%, of the crystal while gaining the high flux from a broader bandpass multilayer. The result can be a multi-stripe optic with regions of 0.1%, 1.5%, 5% and 10% bandpass. Such a structure would yield a flexible beamline with a range of bandpass and intensity to suit many different applications. 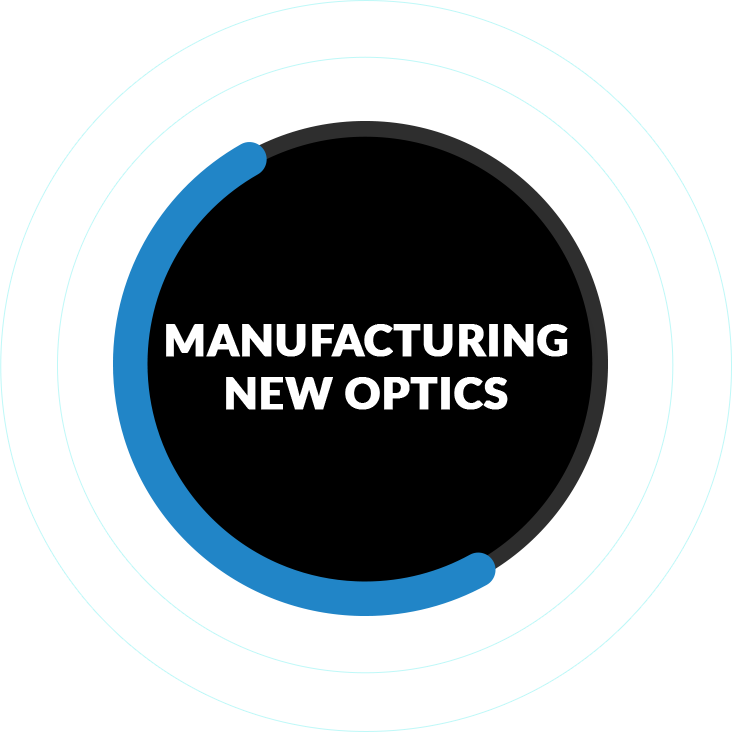 RIT also produces double-focusing optics with sufficient precision to achieve 1 micron to 10 micron focal spot sizes. For some applications, this small-spot focus provides excellent flux on moderate sample sizes. Optical precision can be 2 arcseconds or less. Contact RIT for more details. RIT also produces high precision Johansson Crystals from single crystal materials such as Ge or Si. 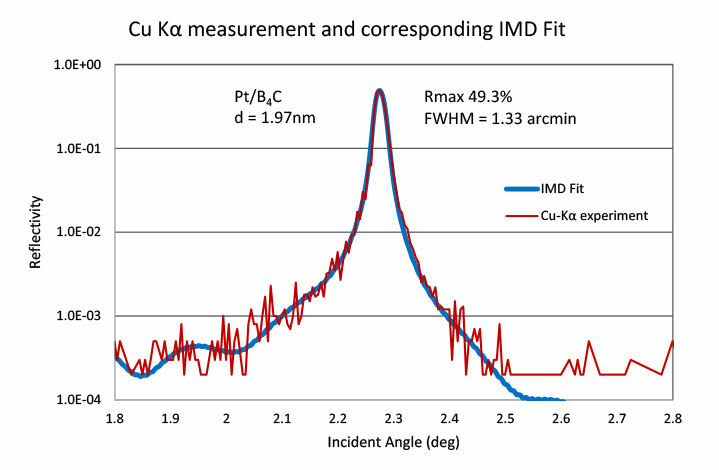 RIT technology has been proven to provide intensity profiles across the beam that are of much greater uniformity than typical crystals available today.